All submissions complying with the reporting format were forwarded to an independent international Technical Advisory Committee (TAC) for review. The TAC and Jury are formed by international experts of proven distinction in the water and communication sector from international organizations, initiatives, universities and Think Tanks, among others. The president of the Jury is designated by the organizers of the award. This advisory committee evaluated the submitted best practices based on a set of selection criteria and forwarded its evaluation to an international Jury. This international Jury reviewed all applications and voted for selecting winners of the 2011 edition. The final decision was taken unanimously. Alberto Tejada-Guibert is from Peru. His major specializations are on surface water hydrology and water resources systems analysis and planning. He obtained his Civil Engineer Diploma in Hydraulics from the National Engineering University of Lima, Peru. In 1971 he worked for the Peruvian National Rural Water Supply Plan (Ministry of Health) and then attended Stanford University in California, where he was awarded a M.Sc. degree in Civil Engineering/Engineering-Economic Planning Programme. From 1973 to 1976 he worked for the Peruvian Government in the Executive Directorate of Project Olmos, a major irrigation/hydropower project on the northern Peruvian coast, attaining the post of Head, Planning Office. From 1976 to 1978 he worked as Water Resources Systems Engineer for the Peruvian consulting team in the feasibility study of the Puyango-Tumbes Project, a multiple purpose project for sharing an international river in the Peru-Ecuador border. He was a partner in a consulting firm in Peru for eight years (1978-86), where he held the posts of Technical Manager and Head, Systems and Hydrology. During the period 1980-83 he was Visiting Professor at the Graduate Programme of the Land and Water Resources Department, National Agricultural University, Lima. In 1985 he was hired by GTZ (German Technical Co-operation Agency) to act as Adviser to the Peruvian Electricity Master Plan. From 1986 to 1989 he was Research Assistant at Cornell University, Ithaca, New York, where he obtained his Ph.D. degree in Water Resource Systems with a minor in Economics. From 1990 to 1995, he worked as Technical Expert for the UN Department for Development Support and Management Services, being involved in water master planning at regional and national level in Yemen, 1990-92, and in strengthening the capabilities of the Hydrology Service of Bangladesh, 1993-95. Mr. Tejada-Guibert joined the UNESCO Division of Water Sciences in January 1996 as Programme Specialist in-charge of the urban water management actions within the framework of the International Hydrological Programme (IHP) and as Deputy Secretary of the IHP. 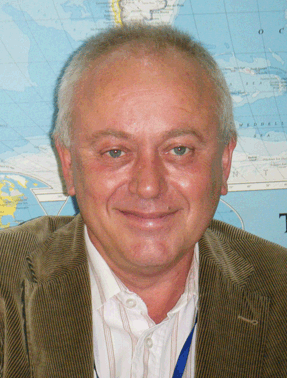 Effective 1 September 2009 and until the new Director of the Division takes up his/her position in Paris, Mr. Tejada-Guibert has been appointed Acting Director of the Division of Water Sciences and Secretary of IHP. Mr. Diphoorn has over twenty years of experience in operational management and the provision of technical assistance and policy advice in Africa, Asia and Europe in the area of water and sanitation. He has strong project design and implementation capabilities as well as a track record in policy formulation. He is currently the Director of the Human Settlements Financing Division and Chief of the Water, Sanitation and Infrastructure Branch at UN-HABITAT in Nairobi, Kenya. As a Director, Mr. Diphoorn is responsible for leading the Human Settlements Financing Division in formulating its periodic work programmes and implementation strategy - in support of UN-HABITAT's Strategic Framework, and in achieving the overall objective: to increase pro-poor investment in slum upgrading, water and sanitation, housing and associated infrastructure including transport and energy, by attracting domestic capital and international support through innovative collaborations with international, regional and national financial institutions. Prior to his work at UN-HABITAT, Mr. Diphoorn was seconded in October 2003 by the Dutch Government to the African Development Bank (AfDB) as Senior Adviser to the Vice President, Policy, Planning and Research. At the Bank, he was tasked with the establishment of the African Water Facility, implementation of the AfDB/Netherlands water partnership program, and coordination of the African input in the 4th World Water Forum. Mr. Diphoorn has also worked as Head of the Water Support Unit at the Ministry of Foreign Affairs, responsible for the overall approaches to water resources within Netherlands Overseas Development Assistance. He was responsible for the organisation of the 2nd World Water Forum in the Hague (2000) and the Water Dome during the World Summit on Sustainable Development in Johannesburg. Letitia Obeng, a Ghanaian, holds a Ph.D. in public health and water resources engineering from Imperial College, University of London. She is the current Chair of the Global Water Partnership, an international network with 13 Regional and over 80 Country Water Partnerships. There are over 2000 GWP Partners who work together to form a neutral and inclusive platform for dialogue and to facilitate change processes. GWP's mission is to support the sustainable management and development of water resources at all levels. As Chair, Letitia is spokesperson for the Partnership, and among other things, provides strategic guidance on the work of the Partnership and Network. A key aspect of the current GWP Strategy, is working to get decision-makers at the highest possible levels to take ownership of the agenda for sustainable management of water resources because of the major impact water has on social and economic development. Letitia spent 25 years at the World Bank before joining the GWP. Letitia has extensive experience in water and sanitation service delivery in Africa. She spent many years, working with sector ministries and communities, on policies, strategies, project preparation, implementation and evaluation while partnering with other aid assistance groups and organizations. Over the years she has also worked on other sustainable development areas such as water resource management, environment, environmental health, growing capacity, waste management, community development and rural development. 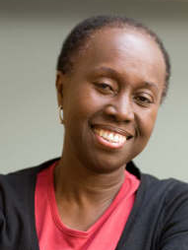 Letitia held managerial and director positions in Africa, Middle East and North Africa and Latin America and the Caribbean and, at the Corporate Level as Director, Office of the President while at the World Bank. 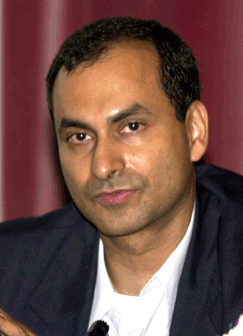 National of India, Nikhil Chandavarkar holds a PhD. in economics from Georgetown University, Washington, D.C., where he taught from 1976-1979 and published his dissertation on "The Balance of Payments and Inflation in Brazil." In 1979 he joined the United Nations, serving in Paraguay, Colombia and twice in Brazil, where he was Deputy Resident Representative and then interim UNDP Resident Representative/UN Resident Coordinator. He was Chief of training and learning in UNDP and later Director of External Relations, where he helped strengthen UN inter-agency coordination and interaction with member states. He later advised policy-makers and policy shapers in various countries in Asia, Africa and Latin America on human development and sustainable development as principal inter-regional adviser in the United Nations Department of Economic and Social Affairs (UNDESA). He is presently Chief of the Communications and Outreach Branch of the Division for Sustainable Development of the United Nations Department of Economic and Social Affairs (UNDESA). Reza Ardakanian was born in 1958 in Yazd, Iran. He holds a BSc in civil engineering from Sharif University of Technology in Tehran, Iran, an MSc in water resources engineering, and a PhD in water resources management from McMaster University in Canada. Dr. Ardakanian has been a faculty member of Sharif University of Technology in Tehran since 1998 and was a member of the Board of Trustees of the University from 1999-2006. He has authored, co-authored, and edited around 80 publications, including books, journal papers, research reports, lecture notes, and articles for the media. At the national level, he has served as the Deputy Minister for Urban Development (1987-89) in Ministry of Interior, Deputy Minister for Planning (1989-91), the First Deputy Minister (1998-2001), and Deputy Minister for Water Affairs (2001-2005) in the Ministry of Energy of Iran. During the latter period, he also served as the General Manager of the National Water Resources Management Company, in charge of constructing/operating of large dams, irrigation networks, and hydropower plants. At the international level, Dr. Ardakanian sat on the Bureau of UNESCO-IHP (2000-02), the Governing Board of UNESCO-IHE (2003-07), Managing Board of the International Hydropower Association (2004-06), and the Advisory Board of UNU-EHS (2003-07). 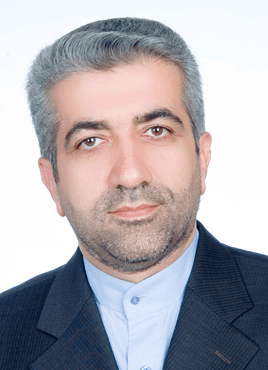 He was Founding Director of RCUWM, a UNESCO regional center on urban water management based in Tehran (2002-07). In Aug. 2007, he was appointed as the Founding Director of the UN-Water Decade Program on Capacity Development (UNW-DPC) by the Rector of United Nations University. 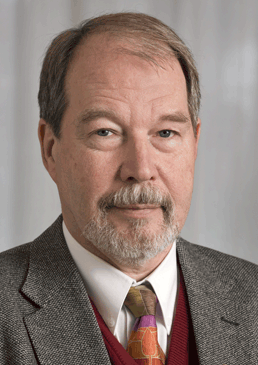 He has also served UNU as Vice Rector in Europe, ad interim, during Aug. 2009 - Nov. 2010.